In the spirit of the holidays, I will be completing a new holiday craft for 12 days in December. This project is very easy to put together once you have all the supplies. It may take some time to get the paint/stain to dry, but that is the most complicated part of the project. I completed this project in a day and it cost me about $10 for the entire project! This is a great holiday gift! Buy your 2×4 from your local Menards. 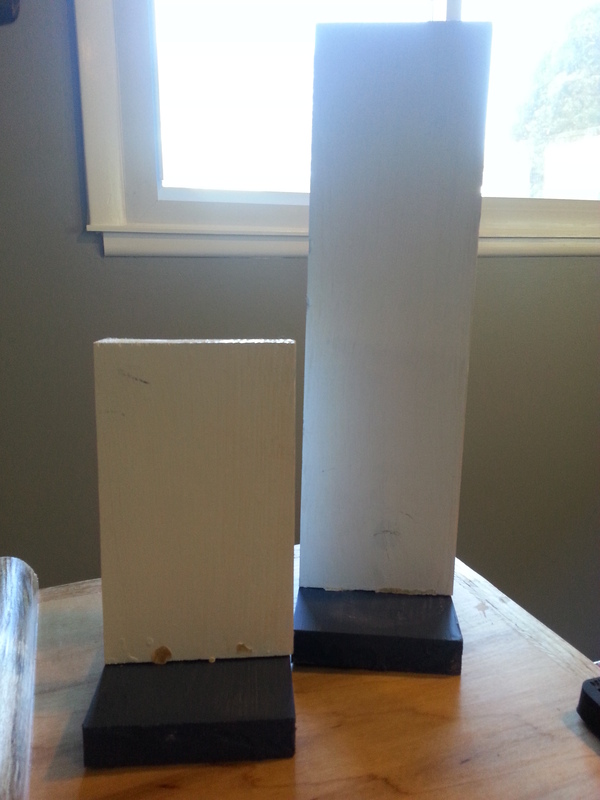 You will not need to cut the 2×4 yourself, you can have the guys at Menard’s do it for you with the measurements! I chose to make one small one (6″), one medium one (8″), and one large one (12″). 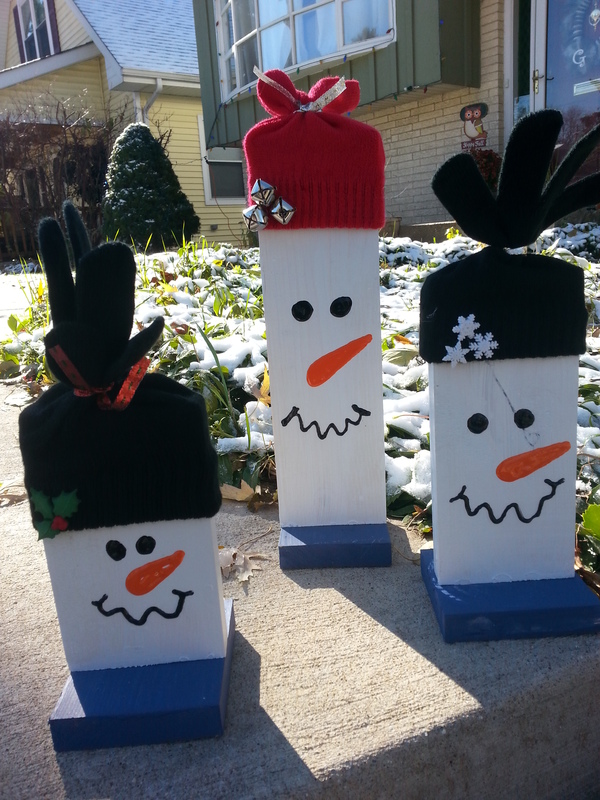 I had them cut the base board to length (16″) so all three snowmen could fit on it. 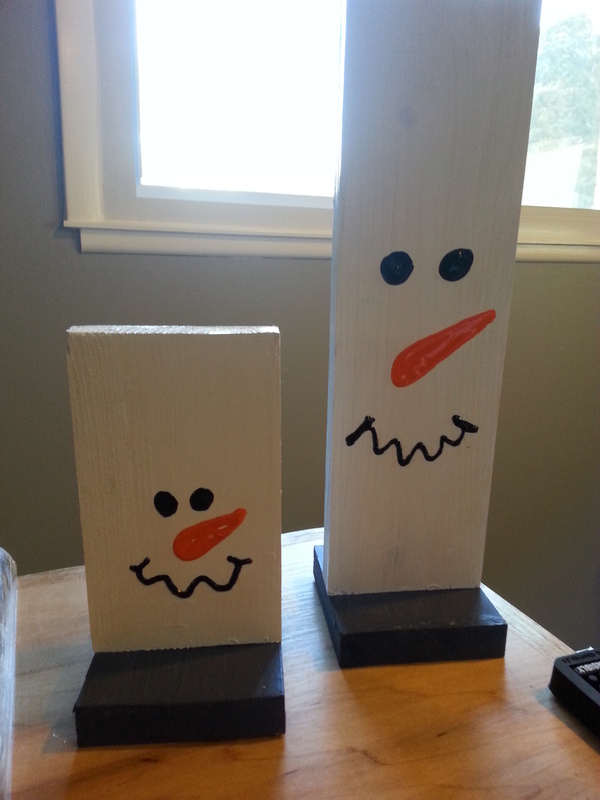 The blocks on the white will be painted blue (for the base) and the blocks on the brown will be painted white (for the snowmen). 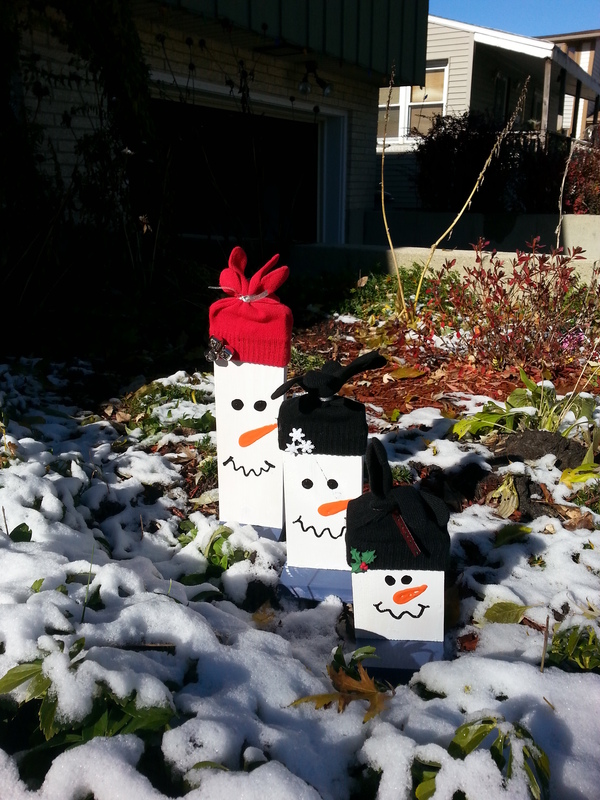 I am making two different sets/kinds of snowmen in this picture (project 1&2 will be outlined). Paint all the boards you will be using to make your snowmen white. 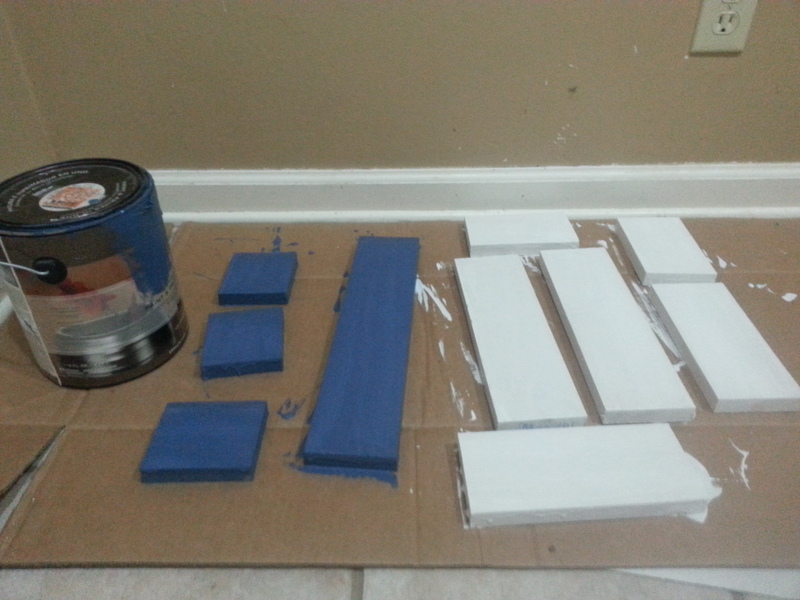 Paint the baseboard an accent color (I painted mine blue). Let the boards dry over night. Connect the boards together using gorilla glue and then hammer nails into the board to secure. 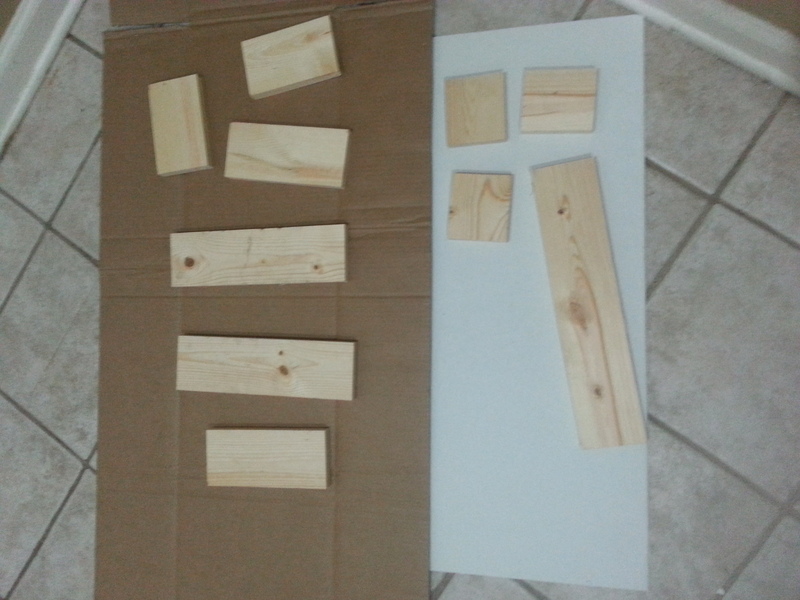 I started with the smallest wood block and then worked my way up to the large wood block so I could rest the baseboard on each block as I nailed. Paint on the snowmen’s faces/embellishments (you can also use buttons). Add a hat (I used a glove and tied off the fingers) and a scarf (I used a left over piece of fabric from a different project. If you liked this holiday craft, please hit the like button below! Look forward to more crafts this holiday season!